BBC NEWS | Business | How fast is faster payment plan? How fast is faster payment plan? Consumers have long been frustrated that it takes three or four days to transfer money from one bank to another. For example, transferring cash from your current account to your savings account at a different bank would mean the money disappears for a few days. The Office of Fair Trading (OFT) once calculated that interest made by the banks when this money fell into the transfer black hole was £30m a year. 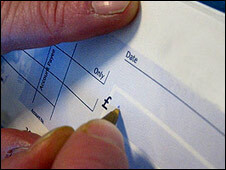 The UK payments association, Apacs, believes this figure was an overestimate, but agreed that the system was too slow. In 2005, the OFT said that the system should be made more efficient and 13 banks embarked on an overhaul, which they estimate is costing them £300m. Under the Faster Payments Scheme, customers can make one-off payments up to a maximum value of £10,000 over the telephone or via the internet, which will leave their account and arrive at the destination account on the same day. The system will operate 24 hours a day, seven days a week. Most transfers will actually be made in under two hours, with some in just 30 minutes. 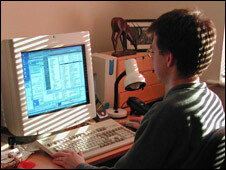 The OFT initially demanded that the quicker system start in November 2007, but it was delayed to ensure it worked properly. In April, Apacs outlined its timetable for the scheme for the first time, saying the faster electronic payments would start on 27 May, with same-day standing orders beginning on 6 June. But the BBC has discovered from the big five banks that while some faster payments will start on the first day, some customers will not see standing orders sped up until early 2009. Many of the banks are expressing caution. While one said it was "well prepared and confident", another said it was protecting customers by avoiding a big bang approach. RBS NatWest will be starting the scheme in full and in line with the Apacs starting dates, whereas HSBC said standing orders would not come under the faster scheme until the "first half of 2009". Philip Cullum, acting chief executive of the National Consumer Council (NCC), said that the staggered start was "unfortunate", but the best thing for consumers to avoid a "Terminal 5 moment". "Given we have been waiting for years, if not decades, for the industry to invest in decent systems, if the price of embedding it properly is a delay of a few months, then that is sensible," he said. Customers who are unsure about whether a payment will happen on the same day can enter the recipient's sort code into a checker on the Apacs website (www.apacs.org.uk/sortcodechecker). Last year, there were 475 million standing orders, online payments and telephone payments made in the UK. The technical scale of the scheme meant that a phased start was sensible and had been approved by the OFT, said Sandra Quinn, director of communications at Apacs. Mr Cullum, of the NCC, said the banking industry's record in payment systems technology was "deplorable", especially as it advertised that customers could make payments at the click of a mouse. But this new system, he said, was a big step forward. These payments make up just 8% of all automated transactions. The majority are salary payments or direct debits. Direct debits did not have the same payment black hole and so will not come under the remit of the Faster Payments Scheme. The 13 banks included in the scheme are: Abbey, Alliance and Leicester, Barclays, Citi, Clydesdale and Yorkshire Banks (National Australia Group), Co-operative Bank, HBOS, HSBC, Lloyds TSB, Nationwide Building Society, Northern Bank (Danske Bank), Northern Rock, and Royal Bank of Scotland Group (including NatWest and Ulster Bank). None of the banks have said they will be charging personal customers for the service, although it is not yet known whether business customers will be charged. Rules on cheques, meanwhile, will remain the same. Since November, interest must be credited no more than two days after a cheque has been paid in and the money must be available to be drawn out after no more than four days. After six days, a cheque is deemed to have cleared absolutely and so banks cannot recoup money from a customer's account if they discovered the original cheque payment was fraudulent.